In Italy, the PP market witnessed further decreases this week, weighed down by stagnant demand and soft upstream costs. Many sellers issued additional discounts, complaining about facing difficulty in concluding deals, which pulled down the overall spot ranges by €10-20/ton on the week. A distributor reported giving October offers €40-50/ton below September, but added that he could not manage to conclude any deals in the first half of October. Another distributor reported selling locally-held non-European PP with decreases of €80/ton from September after initially issuing smaller discounts of €50/ton, citing lethargic demand as the main reason behind his additional reductions. 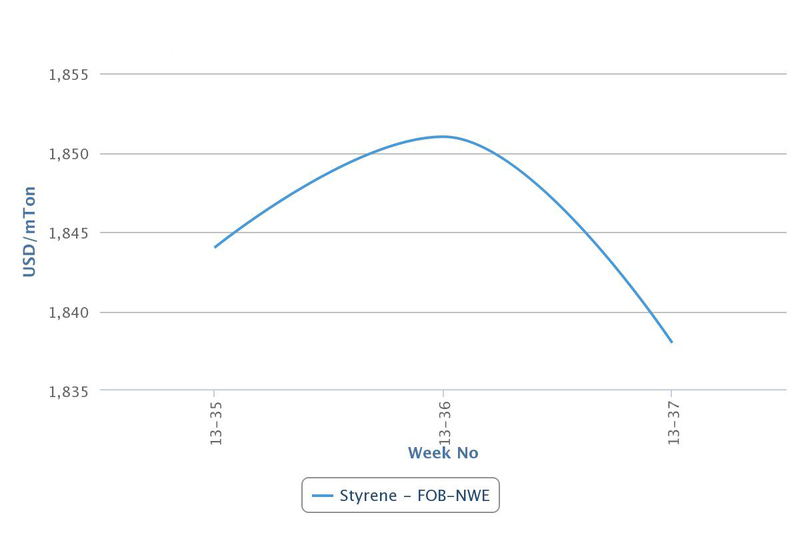 A different distributor also complained about sluggish demand in October despite approaching the market with larger decreases of €60/ton than the propylene contract drop of €40/ton. In addition to stagnant demand, softer upstream costs were cited as another reason exerting downward pressure on the PP market. Spot propylene prices on an FD NWE basis are slightly lower on the week, weighed down by lower naphtha costs. Spot naphtha prices on a CIF NWE basis declined by almost $20/ton compared to last week and they are suggesting an even larger drop of $40-50/ton when compared to the levels reported in the middle of September.